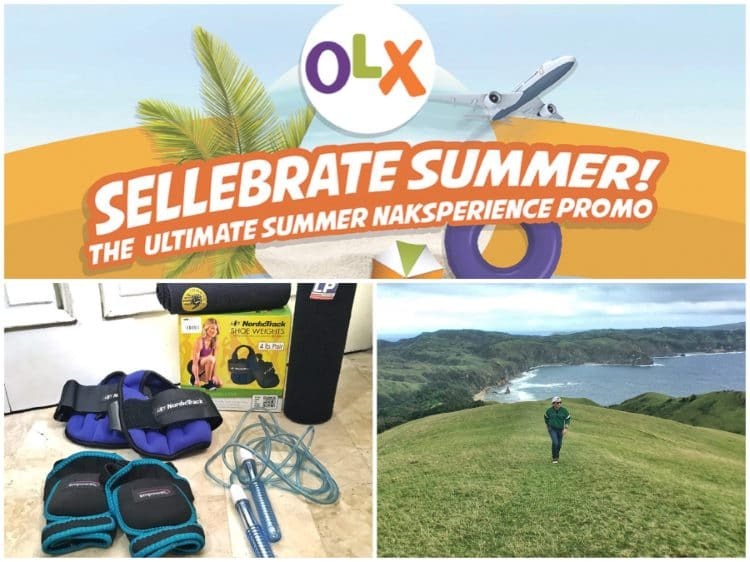 You are Here >> Home >> Promos >> Join OLX SELLEBRATE Summer: The Ultimate #NAKSPERIENCE Summer Promo – Win amazing shopping sprees and summer trips! 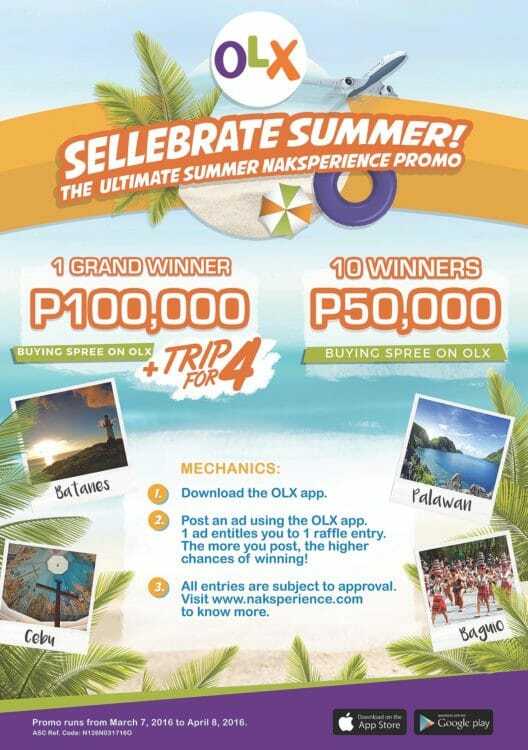 Join OLX SELLEBRATE Summer: The Ultimate #NAKSPERIENCE Summer Promo – Win amazing shopping sprees and summer trips! Look! I’ve started scouring my cabinet and storage bins, looking for some of my old or unused sports stuff to sell online. 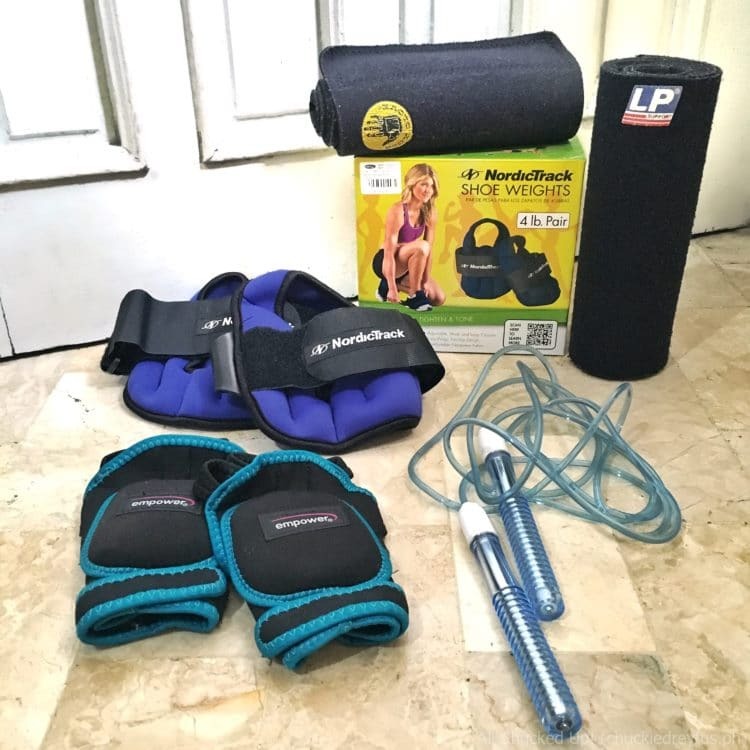 I saw a couple of sweat straps, a jump rope, weighted gloves and a pair of weighted shoe straps which I hardly use anymore. I don’t normally go on a frantic pace searching every nook and cranny, finding things to monetize but I just found out about this ongoing promo by OLX and it has gotten me all hyped up! If you also have stuff that are just gathering dust or items that you’ve been meaning to sell, then there’s no better time to get right to it than NOW! Believe me… you are gonna love this. Join OLX SELLEBRATE Summer: The ultimate #NAKSPERIENCE summer promo! OLX is currently holding an insanely cool contest! It’s called OLX SELLEBRATE Summer: The ultimate #NAKSPERIENCE summer promo! — and the mechanics couldn’t be easier! Users (or new users) who post items for selling in OLX from March 7, 2016 to April 8, 2016 automatically gets the chance to win incredible and exciting prizes from OLX! Just how exciting? 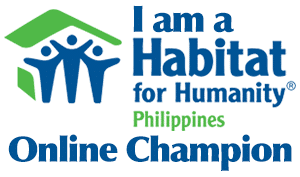 Well, how does a Php 50,000 to Php 100,000 shopping spree on OLX sound to you? Not only that! 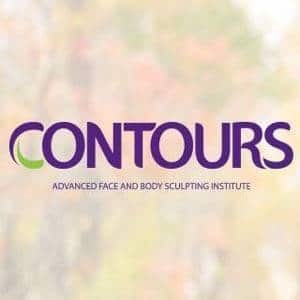 You also get a chance to win a fun trip for 4 (Yes! 4!!!) to places like Boracay, Cebu, Palawan, Batanes! Remember… you must post your ads using the OLX mobile app in order to get raffle entries for OLX SELLEBRATE Summer: The ultimate #NAKSPERIENCE summer promo! Don’t worry, though… the OLX mobile app is available for both iOS and Android devices. Win really awesome prizes when you join OLX SELLEBRATE Summer: The ultimate #NAKSPERIENCE summer promo! OMG, right?! Where else can you find an opportunity to sell stuff online and get the chance to win really awesome prizes at the same time? Either way you look at it, it’s a win-win situation! Oh, here’s a thought! The stuff you sell online can be used as more pocket money for the wonderful trip in case you win! Perfect! Hahaha! Keep in mind, OLX SELLEBRATE Summer: The ultimate #NAKSPERIENCE summer promo runs until April 8, 2016 only! So, don’t delay! Well, guys… I gotta cut this post short and get back to finding more stuff to sell on OLX. 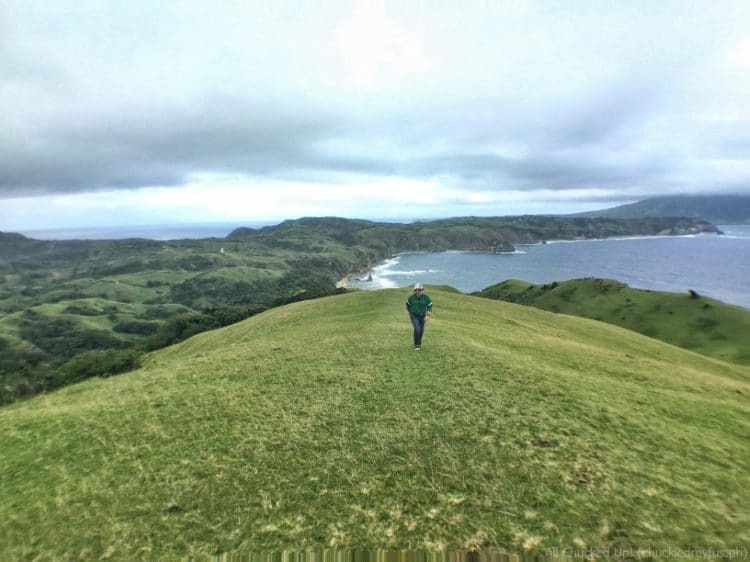 Can’t wait to see you again, Batanes! More things to sell means more chances of bagging that shopping spree and much-needed out of town getaway!